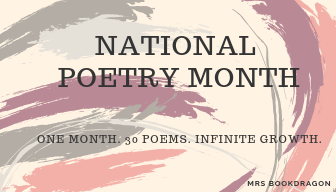 April is one of my favorite months because it is National Poetry Month! I love taking advantage of this time to challenge myself to write more poetry. I also try and read more poetry, especially books in verse. I am being a little more specific this year with my goals. 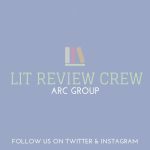 I challenge you to write some poetry this month-try a haiku or blackout poetry. Sit down and try. Be creative and feel free. You can share, or you can keep it hidden. You can chuck it in the trash. The experience is worth more than the product sometimes. Let me know about your experiences and I look forward to hearing feedback.